Thesis book created as part of my graduation requirements. 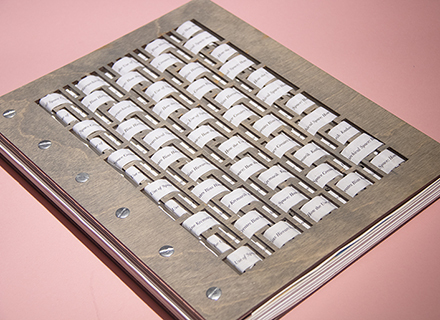 Book is hand assembled and featured cust die cuts. A large scale installation dedicated to women in design history. 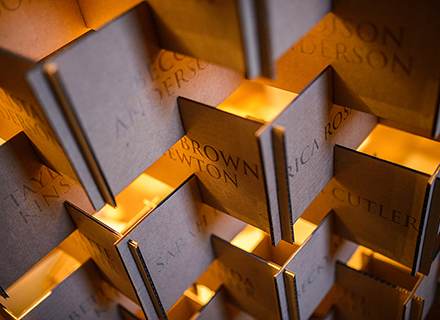 The installation features names of women in design history as well as present day. 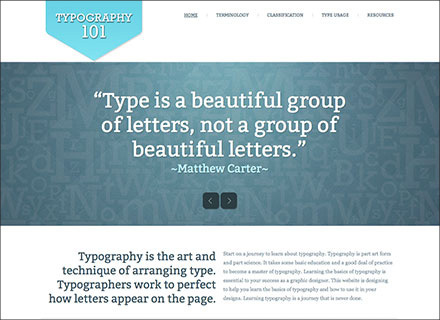 This website was created to serve as a resource about Typography for students, professionals, and others interested in learning about typography. 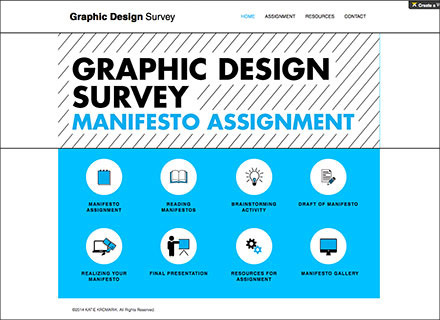 This website was created to support my manifesto assignment for my Graphic Design Survey course. It provides all needed materials and serves as a resoource to help students with the project. 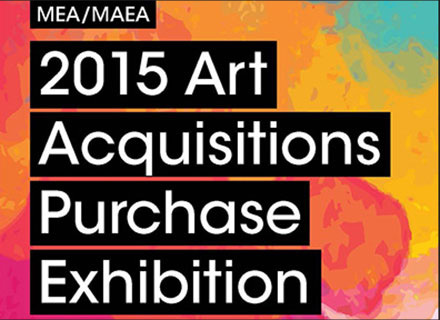 This brochure is a call for entries for the 2015 Art Exhibition for the Michigan Education Association. The goal was to get attention while also providing all information needed to submit work.